Three high-profile businessmen are backing a new British energy storage company. The former boss of Centrica, Sam Laidlaw; the former chief executive of SSE, Ian Marchant; and the former CEO of Innogy, Brian Count, have invested in Moixa Technology, which is based in London. The company makes an energy storage product for homes and businesses called Maslow. It comes in 2 kWh, 3 kWh, and 4-6 kWh sizes. One news source says the cost is £2,200, though it does not explicitly state for which models — one might assume it is for the 2 kWh version. 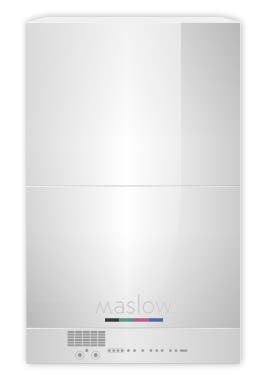 The Maslow site says the product is usually installed in about one hour by a qualified electrician and is wall-mounted. It also says Maslow does not need an inverter to receive electricity from directly connected solar panels. One source referred to the units as ‘brief-case sized’ and plug-and-play, but it isn’t clear what the installation cost might be. So far, Moixa has installed about 500 units, but has a goal of one million by 2020. “I think the move from large, grid-connected power stations to the combination of small-scale residential solar and storage is the energy equivalent of the switch … from big mainframe computers to WiFi and iPads,” Ian Marchant said.